Here at Generation Diagnostics, we are experts in advancing the push for personalized medicine through advanced testing diagnostics. 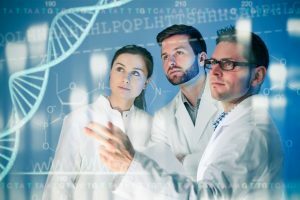 Here at Generation Diagnostics, we are experts in developing business partnership models in these areas of personalized medicine that will funnel the vast amount of insurance reimbursement dollars going to other entities back into your practice. We are not talking about a few thousand dollars here or there, but multiple six figures a year with very little investment on your part. Who else is walking in your door talking about real opportunities like this? And these partnership models are all in compliance with Stark law, Anti-Kickback, Anti-Markup rules and are currently being implemented by practices throughout the nation. Some even in your own backyard. What we are finding in meeting with our clients is that they have never heard of these partnership solutions centered around advanced patient care and personalized medicine. How come I have never heard of this before? Is this legal and in compliance? Are there any other practices doing this? Well, the answer is yes it’s legal and in compliance; yes other practices are doing this, some for 12 years; yes insurance is reimbursing this. Now the question on why they have never heard it before? Chances are because we haven’t had a chance to sit down with them yet. Most of the other partnership models are proprietary and since we don’t give up our competitive advantage to our competition (in several partnership models we have no competition), we leave that to a face to face meeting or conference call with appropriate non-disclosure agreements signed. Let us know how we can help you. Contact us today.